when i connect my USB cable to the calculator a message comes up asking what mode i would like to put it in, i press F1 for data transfer and it says "Receiving..." on the screen. 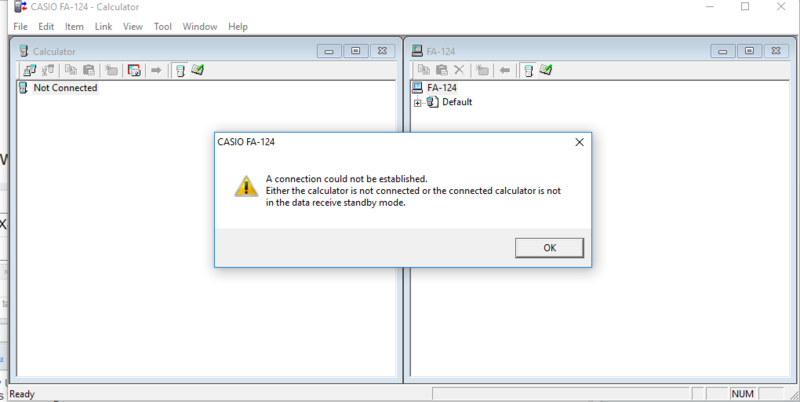 when i press the connect button in FA124 i get the message "The connection could not be established, either the calculator is not connected or it is not in standby receive mode." Did you download FA-124 in a zip folder, or as an setup executable. With the setup executable, the drivers would've automatically been installed.